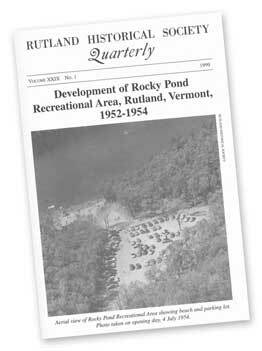 1921: May 2, Henry O. Carpenter gave 273 acres of land to the City of Rutland with the idea that it will be developed as a park. 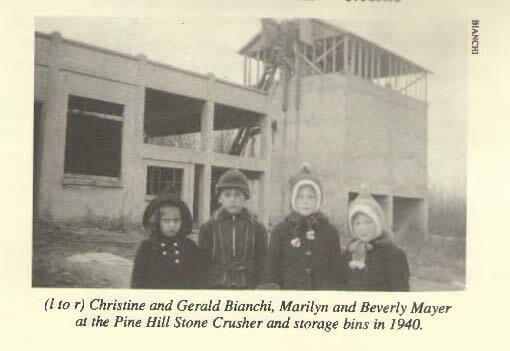 The land was described as “part of the Pierpoint tract and one of the finest sections of Pine Hill.” A suitable quarry site was found on the property and the decision was made to move the stone crushing equipment from the Lincoln Avenue quarry. A 12 foot wide road was built from the end of Evergreen Avenue to the quarry, the machinery was moved with 12 horses, and production started in February. 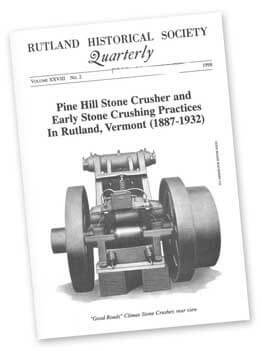 For more information on the quarry and stone crusher at Pine Hill Park, see this thorough article by the Rutland Historical Society. 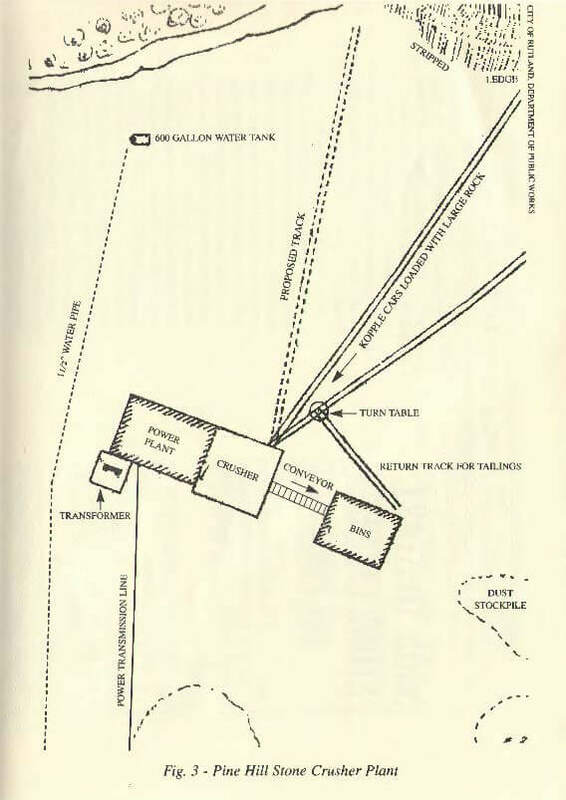 1925-1926: A concrete powerhouse was built to house the machinery at the quarry. 1927: Concrete bins were built to hold the crushed stone at the quarry. 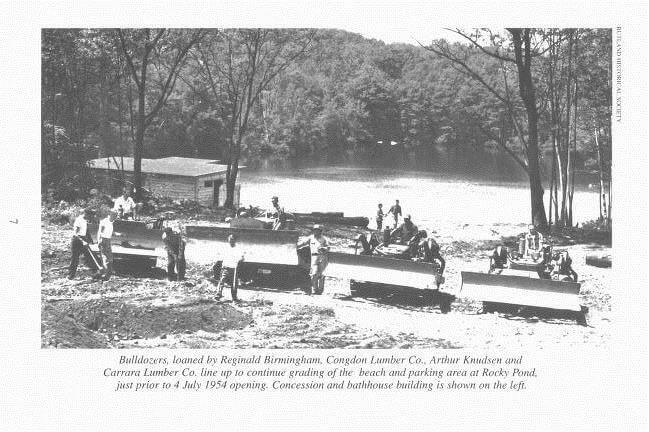 1931: Rutland City appropriated $3000 to hire out of work men for “make work projects.” 30 to 45 men worked in the park clearing trails, widening and grading roads, cutting cordwood, and removing brush and fire killed trees. 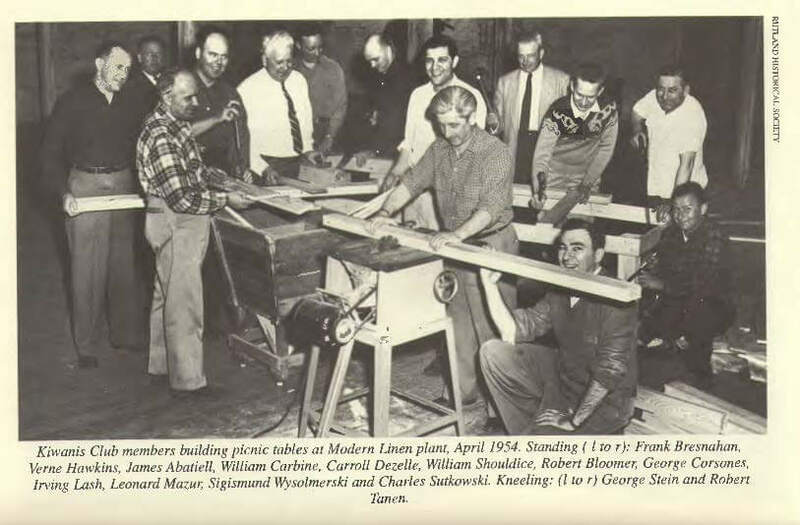 1932: “Make work projects” continued in early 1932. Roads were built from the ends of Evergreen and Watkins Avenues to a parking area. 1933: Quarrying operations ceased as stone was available at a lower cost from other sources. 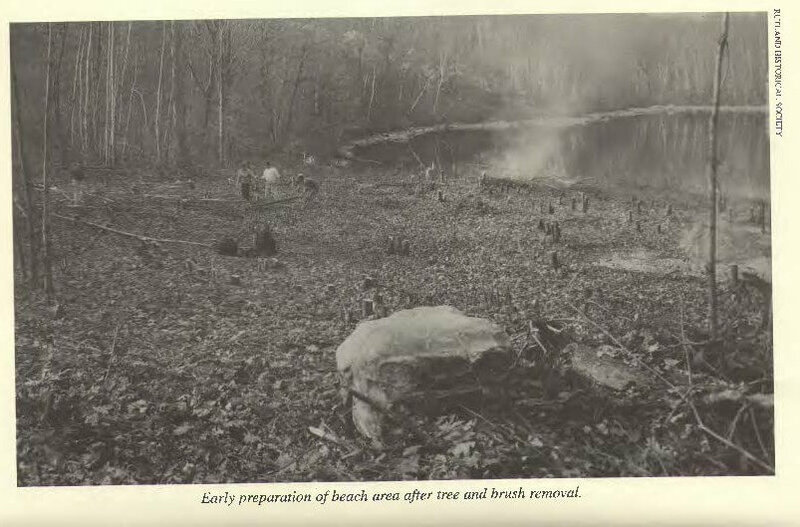 1934: April 11 a large fire burned 120 acres. 1936: Works Progress Administration (WPA) crews widened the road to Rocky Pond from a path to “wide enough for two cars” and built a “large recreation and picnic area” ¾ mile North of the end of Evergreen Avenue. The National Youth Administration (NYA) built a ski run parallel to and west of the road. 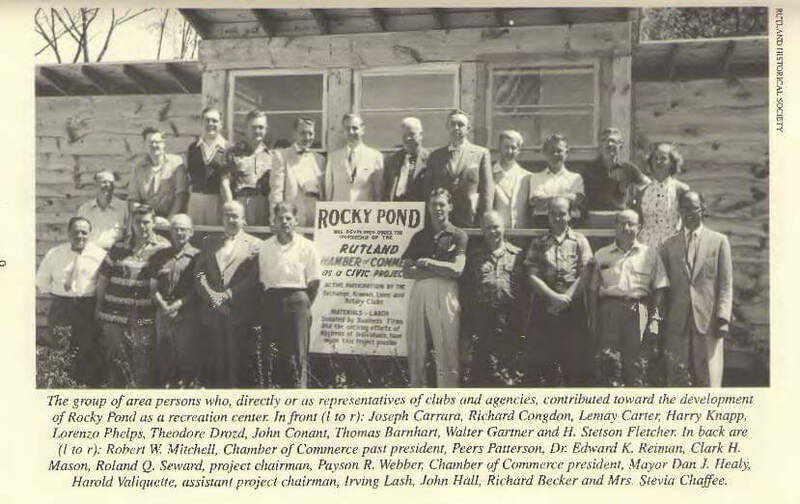 1952: Led by the Rutland Chamber of Commerce and supported by many service clubs, work began on establishing a swimming beach at Rocky Pond on land leased from Rutland Country Club. 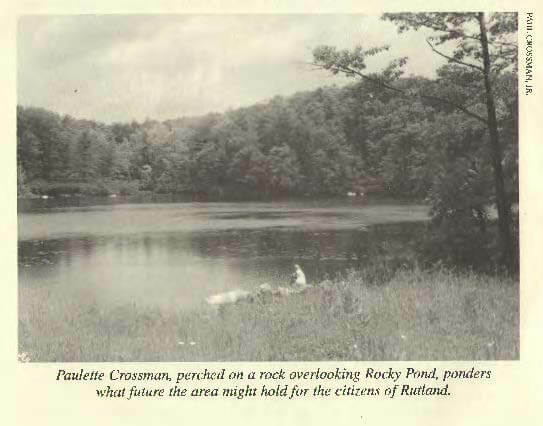 For more information on the Rocky Pond Recreational Area in the 1950’s see this great article by the Rutland Historical Society. 1954: The parking area and road were widened. 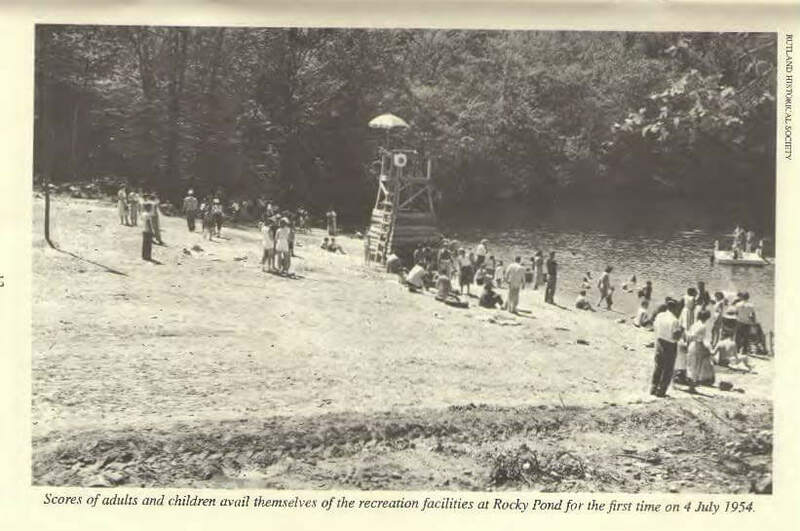 July 4 was the public opening of the Rocky Pond Recreation Area. 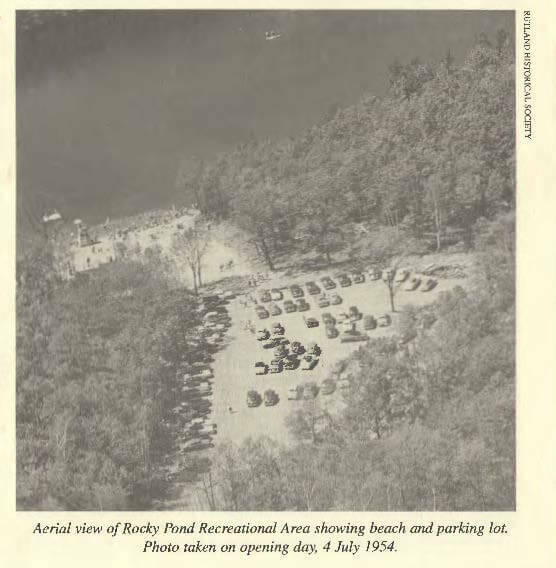 1956: The road to Rocky Pond was paved. 1957: After a season of inclement weather, operating losses, and vandalism; operations ceased. 1967: The state owned land next to Pine Hill Park was considered as a possible location for a new high school. 1971: 40 acres of adjoining land (known as East Creek Meadows) were transferred from the state of Vermont to the city, enlarging Pine Hill Park. John Giorgetti, a member of the state lands committee was credited with helping the city obtain the land. A 4 mile trail was established and marked to Rocky Pond, Muddy Pond, and around the Pine Hill Forest. A water and soils nature trail was also established. 1975: The ball fields and lower parking area were constructed. 1976: On May 13, Pine Hill Park is dedicated as John J. Giorgetti Park. 1977: The skating rink building was constructed. It opened on August 2 with basketball courts and paddleball courts in the summer and ice skating in the winter. 1998: Money from the estate of John Giorgetti is used to upgrade the rink building, purchase a Zamboni, and pave the upper parking lot. Stemming from a public meeting held by the Rutland Recreation Department in January, volunteers begin revitalizing the park. The name Pine Hill Park is used based on old maps. Six bridges were built on the Giorgetti trails in October – November. The bridge on Sore Elbow was built. 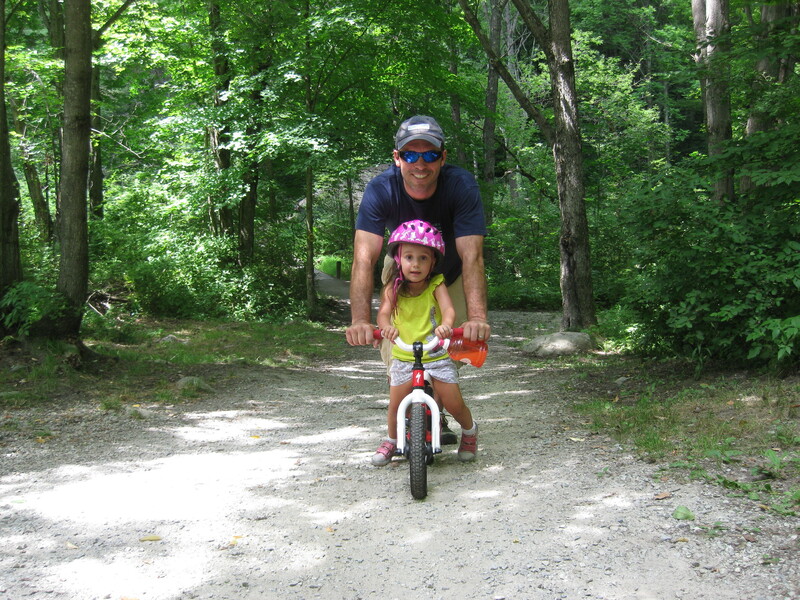 Pine Hill Partnership is formed as a volunteer organization to steward the trails. Pine Hill Partnership received 501(c)3 status. The Serpentine Bridge was built on Stegosaurus. The Suspension Bridge was built in September – October on Overlook. The Hourglass Bridge was built November – December on Stegosaurus. The Seeping Ledge bridge was built on Svelte Tiger. The Armadillo Bridge was started in December on Birches. The Armadillo Bridge was finished on Birches. The Arch Bridge was built in September – October on Shimmer. The Centrifuge Bridge was started on Underdog. The Centrifuge Bridge was finished on Underdog. The Carriage trail officially opened in May.